Es ist immer wieder schön, wenn sich herausstellt dass der Künstler/Musiker den man gut findet obendrein auch noch ein sympathischer Mensch ist. 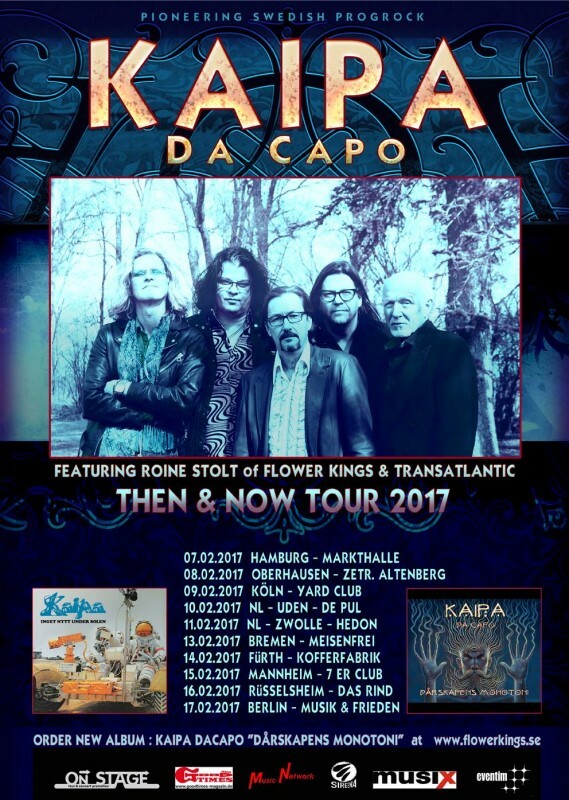 Roine Stolt ist nun seit 40 Jahren ein leidenschaftlicher Musiker aus Schweden, der die Prog Musikwelt in verschiedensten Bands und Projekten (THE FLOWER KINGS, TRANSATLANTIC, KAIPA...) bereichert hat. Jüngst veröffentlichte er zusammen mit YES Stimme Jon Anderson unter dem Banner ANDERSON/STOLT das Album "The Invention of Knowledge". 1. Hey Roine! How are you feeling now, that “Invention of Knowledge” has been released for a while and everybody is sharing their opinion about it? ROINE:I’m very happy with the album in itself, but also all the insanely nice reviews and ravings that we received, it’s been a total jackpot, something I’ve never experienced to this level before, not even with Transatlantic. 2. In my review I wrote that when I was listening to “Invention of Knowledge”, the peaceful and positive atmosphere reminded me of what you had written in the booklet of your “Flower King” solo album. “I support the good forces – Love, Light and Kindness“. Is that still the way to go for you in everything you do? ROINE: I think that credit should be given to Jon, as many of the main vocal melodies are coming from him. But yes of course I tried to capture the positive spirit that is very much Jon and very much YES but also what I carry with me over the years from my own musical upbringing, anything from Swedish folk music to the joy of Mozart,The Beatles, Burth Bacharach, Weather Report. 3. How is working with somebody, who has been a big influence for you back in the days? ROINE: Well, I first met Jon backstage at a ABWH show back in 1989, but I doubt that he remember that. Since then I had the pleasure of working with Jon back in 2014 at a concert at sea - a big cruise in the carribeans - where I played with both The Flower Kings, Transatlantic and a set with Jon and some 50 minutes of YES music. So that led to us starting to work on new music together - all was instigated by my record label boss Thomas Waber - He just said - "You should work with Jon -it’ll be a perfect match”. The first few contacts I was of course a bit “starstruck” - but where we are in life at this age it is all about the music, we’re just two guys eager to explore and make great music. 4. Although it feels as if YES is a band you might have looked up to when you were young, I don't know if everybody knows that you released your first album with KAIPA in 1975! I think you were 17 at that time. What are your feelings when look back to those times, when you started making music? ROINE: Yes that’s true - We had a recording deal with DECCA so it was pretty big in a way - but at that time Yes had made Relayer and were in full swing and played Madison Square garden - so of course Jon being 12 years older than me and having worldwide success means I will most likely look at him as “that guy in that band …” - When I was 17 and started getting into writing songs it was a very interesting time and I had so many great musicians to learn from and getting inspiration from, Weather Report, Yes, King Crimson,Genesis,Mahavishnu Orchestra,ELP etc. I’ve worked really hard over the years - I’ve been lucky to meet the right people and I’ve composed/played and been involved in around 200 albums over the years. 5. Was there a special band, song or album that made you learn to play the guitar? Have you ever taken lessons or are you self-taught? 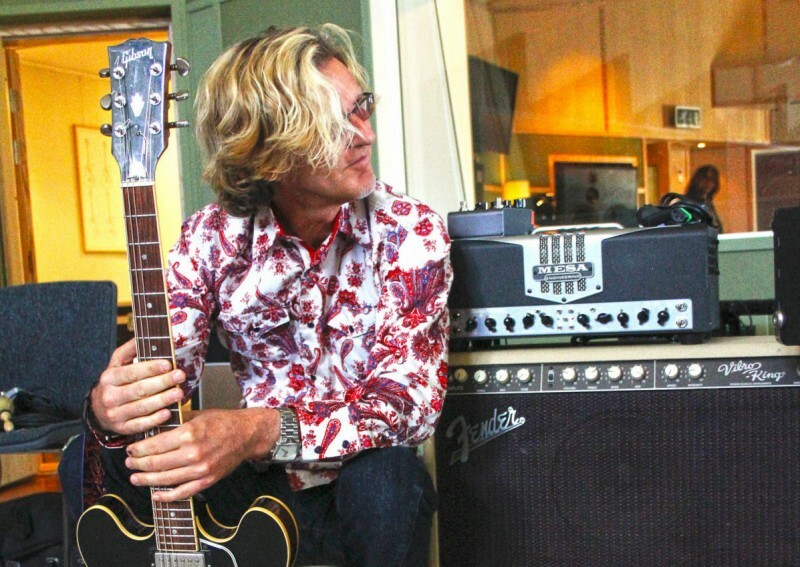 ROINE: I had a few guitarlessons but not for long. I had a few early influences like Jimi Hendrix and Robin Trower - but the big change was a Swedish band called “Made In Sweden” and I got a lot from learning and understanding their songs (jazz-rock) another relevation was female Hammond organist Merit Hemmingsson - (Folk-jazz-beat) I spent an entire summer learning all her songs on bass. Interesting tid bit is she is actually guesting on our new album Kaipa DaCapo- Dårskapens Monotoni. ROINE: Oh wow -that is quite a lot _and it changes all the time _ Let’s see- I have many guitars - most of them Fender and Gibson - Now I use a handbuilt boutique guitar from Jeffery Earle - it’s called JET - and also a custom shop vintage Fender Stratocaster and occasionally a Gibson ES 335 cherry that I just left last week at the guitarshop to get a new True Temperamant fretboard. I usually have a few Telecasters and an old Gibson Les Paul 1953 that I use on Albums, but not on stage. Pedals; I have more than I can remember, but a few TC electronic boards - a couple of Dunlop Cry Baby Wha’s. Dunlop volume pedal, Strymon Tape delay and Leslie pedals, Electro Harmonix; Ravish Sitar pedal, and MEL mellotron simulator, Love pedal booster, Tech 21 delay, Tech 21 acoustic DI. - Amps; are a pair of ORANGE TH 30 amps - MESA Transatlantic 40watt, Fender Vibrolux, Marshall JTM 45. plus all the cabinets to go with it. 7. The drummer that played on “Invention of Knowledge” is Felix Lehrmann, who also is your current drummer for THE FLOWER KINGS. I think he is amazing, and after wondering why a Swedish band has a German drummer I found out that he is also a successful studio and live drummer for a lot of German pop acts. How did you meet him? ROINE: We were looking for a drummer for The Flower Kings - and someone recommended Felix. We heard a few YouTube clips and concluded he was awesome. He is indeed a fabulous drummer and very funny guy. 8. I have witnessed you play live with TRANSATLANTIC twice and one time with THE FLOWER KINGS. When I was walking my dog a few days ago and thought about what I wanted to ask you, I suddenly had an idea or a wish. It's something that ASIA did when they played live in original line-up again in 2007. They not only played old ASIA classics but also songs of bands each musician was a member of, like “Roundabout” by YES, because of Steve Howe, and “Video killed the radio star” because apparently Geoff Downes was a part of the BUGGLES, also a song by KING CRIMSON and ELP , which John Wetton and Carl Palmer had been part of. 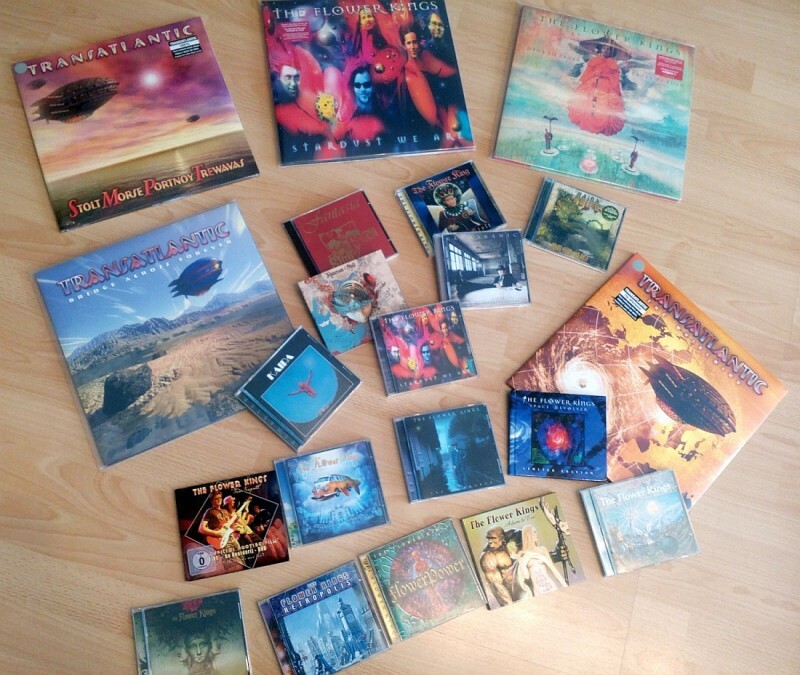 I thought it would be great if TRANSATLANTIC could do the same, and you would, for example, play Kayleigh/Lavender/Heart of Lothian by MARILLION, something by DREAM THEATER (maybe something from “Images and Words”), some SPOCK'S BEARD classic (“June”) and maybe “Förlorad i Istanbul” from your KAIPA time or of course “Stardust we are”. Of course TRANSATLANTIC is a band with a strong identity and great songs, but I think your audience would really dig something like that and maybe the band could enjoy this, too. Do you think something like this could happen? ROINE: Transatlantic is a weird story - it is really not an existing band per se. - more of a whim project - I have no clue as to when or if we will ever do more albums - or play again live. I think in a way it is sad that the band was never given a chance to fully bloom - we were offered lot’s of cool and well paid gigs but turned them down - that’s a strange situation - never seen in any band I’ve been - on a good day we are fabulous live. The blueprint looks lovely but the heart and soul of such a band looks a bit fractured to me - in my mind the collective can bloom when everyone surrender to the music and love & respect. 9. Please tell us about your future musical plans. Do you have any closing words for our readers? ROINE: My immidiate plan is to start promotion of the KAIPA Da Capo album “Dårskapens Monotoni” that is released on October 10th. We also finished a short tour in Sweden and have live shows coming up this fall - and a europen tour coming in February. Besides that I have also just started to look into new material and ideas that Jon Anderson sent me. It will keep me busy. But as the workaholic I am I will still start up a brand new band project that will see the light of day in 2017. Thanks for your answers, Roine!